Developers kept their word, the release of the first beta version took place this summer and right now anyone who has Android, Windows 10 or Xbox can enjoy this global update. The list of features is impressive and almost everything that is described below is now added to MCPE 1.2. This is not the whole list, other details you can see in the game. 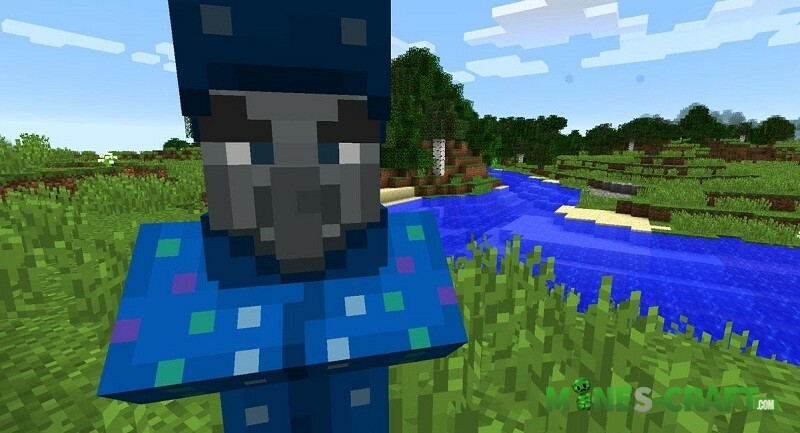 Download Minecraft 1.2 and test the beta version yourself, do not forget to report bugs. Some features are only available for MCBE 1.2.20. New water and also the appearance under water. Hearth of the sea and nautilus shell. Updating new content and bug fixes. New mob – the Drowned. Added friendly fiery can be switched in settings. Smooth animation in the game menu, can be turned off. Use the new search in the marketplace to quickly find the content. A new type of chunks that affects the amount of memory consumed. More than 100 bug fixes. The only thing that was added to the game – reduced damage when falling on a haystack. The remaining changes relate only to parameters and improvements. Your content will be updated automatically as soon as you enter the game. Press X in the invitation menu to invite a friend to your game. A small change in the skins menu- paid skins are displayed at the top. The world settings can be changed without activating the cheat point. Generation of mobs is accelerated. Fixed significant bugs on Android and Xbox versions. Xbox Live Clubs. This feature allows players to interact more closely with each other. Added new content to MCBE Market. The possibility of streaming using Mixer is added. How to Stream in Minecraft Bedrock? Read here, detailed instructions. 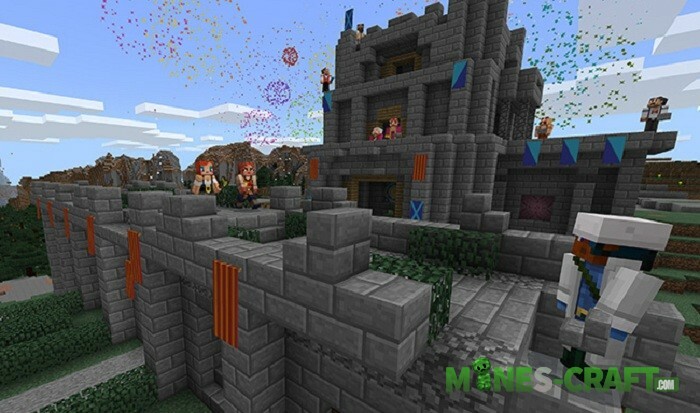 More recently, the developers have released the final version of MCPE 1.1 Beta and now they are preparing the next one. What else can we see in the game? 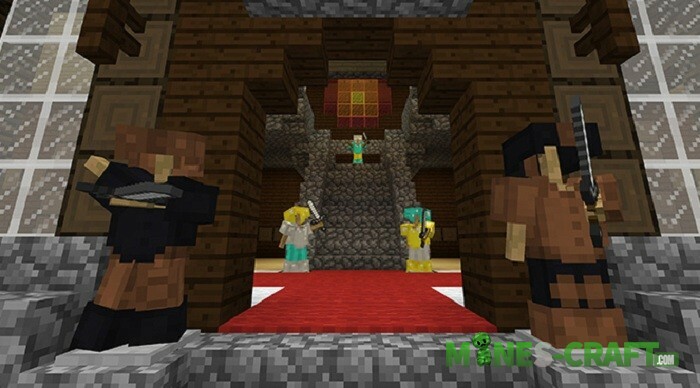 Over the past year, Mojang has added a huge number of features to the game, making the pocket edition virtually identical to the PC version. Yes, it’s still early to say, but most of the content already exists in the Pocket Edition. Now we can only assume the features that can be added to MCPE 1.2 and let’s list them. It is important to know that these are only assumptions, there is a rather large chance that it will exist. Illusioner is the first and most anticipated mob in 1.2. It differs from other creatures in the ability to create illusions, more precisely copies of oneself. Having met him, you will be attacked and also see several illusioners who look alike. This mob has some bugs in MC 1.12 and at the moment the developers are working hard to fix these errors. Therefore, we are unlikely to see it in Minecraft Pocket Edition 1.2. 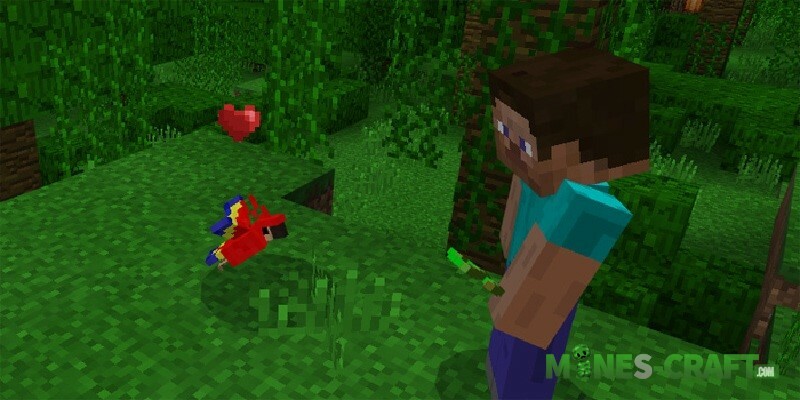 Parrot is the second no less interesting mob. This bird is able to fly and sit on trees, it can be tamed and sit on your shoulder. There are several colorful parrots but they all have the same properties. If it is added to the game then you can find it in the jungle. Cross-platform is the recent news that was voiced at the E3 conference. 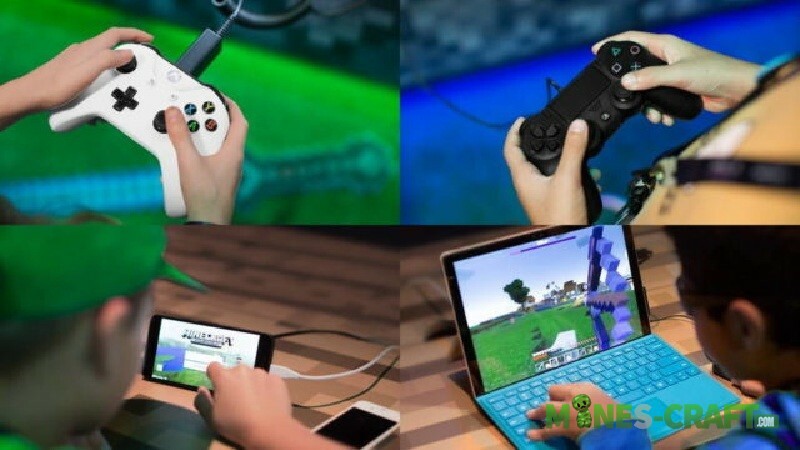 This feature allows owners of smartphones, consoles and personal computers to play together. It is possible that in the next version we will be able to play with the owners of consoles on one server. Stained glass is an officially confirmed feature and will definitely be added to the version 1.2. We can only wait and in the end we will be able to build structures much more beautiful and diverse. As expected, the update will receive 16 colors for all cases, which is suitable for almost all styles. Just imagine how you decorate your house with new colors. Fireworks. There is a high probability that the inventory will be replenished with new items. The fireworks rockets are designed for beautiful explosions in the sky and also for lighting and causing a small damage. The fireworks are perfectly combined with festive days and are an obligatory attribute of Christmas. New interface. 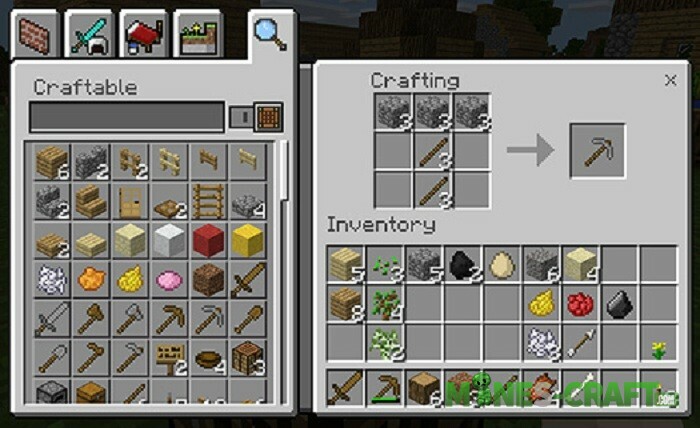 The classic GUI practically copies the pocket one and many players are asked to add the original appearance of crafting, crafting table, furnace and other blocks having an interface. The original interface is more convenient for players who started playing with Minecraft Java and do not want a change. The new GUI is quite convenient but slower to use although it adds more atmospheric. Books are always an excellent item for writing useful and important information in the PC version and why books are still not in PE. What could be better than writing stories right in the game? Books consist of several pages and store information until they are destroyed. In addition to simple markings, the books are an excellent place for coordinates and other navigation tasks. Kurasa ini penipuan atau apa? doesn’t work ,it doesn’t show the link ! for the ios version !! !